We have a small pond in our woods. It’s way far back and though I can see it from two windows in the house, I have never been there. There’s no path. Getting there would mean climbing boulders and crossing rough terrain. At least half the year, I can’t even see it. In the summer, the trees hide it. In winter, it’s buried under snow. As summer ends, it becomes so dry, there’s little to see. Right now, though, for this brief period after a lot of rain and before leaves come out, I can see it clearly, bright behind the trees. It rained like crazy yesterday, so this morning, my little pond was shining in the sun. I could easily see it, so I tried to get some pictures. They aren’t good pictures. Even with a my longest lens, there are so many trees and branches and weeds in the way, the lens had a hard time focusing. But I know it’s there. Sometimes, it sort of disappears, but it pops up again. During the five years of doing this daily, I’ve seen my numbers rise and fall. Sometimes dramatically. I have learned to not let statistics drive my writing. I am tenacious. Stubborn. Determined. If I think a post is good — mine or anyone else’s — I’ll keep putting it out there until it gets its due. Like that little pond. I may have to wait for rain, but it always rains. Eventually. This has been a very rainy year. I’ve been watching Serendipity’s numbers climb. Despite hearing repeatedly how “blogging is dying,” I’ve seen our statistics rise by at least 50% since last summer. I’m sure having so much help in writing makes a big difference as do the various points of view. We have more voices. More interesting ideas to think about. More dogs, too. I always wonder what makes some sites “popular,” while others go off with a bang and then fade away. Sometimes, it’s because the blogger loses interest, gets busy with work or whatever else. Other times, there’s a sense of mental exhaustion. Good ideas popping when the blog began fade and there’s nothing new. It isn’t easy to write day after day. I spent my life writing professionally, so I’m accustomed to writing. It isn’t exactly automatic, but I don’t suffer from writer’s block. Almost any idea can be a post. Before blogging, my best writing was done writing letters. When blogging arrived, I instantly realized I’d found my thing: blogging is letter writing with an audience. On Serendipity, we don’t write the same way. We each have a personal style. I don’t always agree with everything, but that’s the point of not being the only writer. If I wanted it all to sound like me, I’d write it myself. I like writing. I’ve always liked it, since the first time I picked up a pencil. Now that I blog, people read what I write. Before that, I wrote, but I no one read it. I’ve heard people say it doesn’t matter if anyone reads what they write, but I don’t buy it. Writing is meant to be read. That’s the point. If no one reads it, why bother? Being a good writer and a pretty good photographer improves the blogging process. Varied content matters too. There’s so much available online. It is a busy, electronic world. You need to be entertaining. Five writers are a huge plus. No two people write the same Even when we write about the same thing, we each have our own way of doing it. The pictures are pretty and our dogs are cute. Posts are funny — or at the least, humorous. On the whole, we don’t rant. Much. Okay, there’s an occasional rant, but it isn’t a daily event. Also, though we all have issues, we try not to dump it all on the blog. Everyone’s got their own bag of rocks to work through; you probably don’t need ours. From the start of Serendipity, I got plenty of advice from WordPress. They assured me I needed a theme. I needed to have a direction because no one would want to read just anything. Personally, I’m a big reader of just anything. There are a few things I avoid. If it’s gory, I usually move on. Mostly I’m willing to try anything you throw at me. I figured I can’t be the only one who feels like that. So I rejected their advice, though I did wonder if I was making a mistake. Ultimately, I figured if the posts are well written well and the pictures are pretty, a few people are bound to drop by for a look. I was surprised — and still am — at all of you who have dropped by. Even more rewarded by how many of you have become friends. You are the biggest and happiest surprise of all. We may not be able to hop on an airplane to hang out for coffee, but we are friends. You started your blog five years ago, by yourself, from nothing. You now have accumulated a half million views! You have a crew of talented and devoted contributors to help you with content. You have faithful and enthusiastic regular readers. And you’re winning over new people every day. Your hard work has paid off and you deserve all the success you’ve achieved! Thank you for including Tom and me in the Serendipity family. Here’s to the next 500,000 views! For anyone who hasn’t noticed, there are “author pages” for everyone as well as a contact page under the graphic. So if you want to leave messages, please feel free! Thanks to all my authors — and all our friends. I know I’m small potatoes compared to many other sites. I know bloggers who have millions of hits and tens of thousands of followers. For me, this is fine. Moreover, it’s fun. I get to write whatever I want, when I want … or not. No one tells me what to say or in how many words in which to say it. If you have spent a lifetime writing as a business, you have no idea how special this is. Thank you for finding Serendipity interesting enough to visit when there is so much else going on in the world. What are my chances of making it to a million? You think? Congratulations — that’s quite a milestone! I guess it is. It doesn’t feel as “big” as I expected. Hah — I guess it must feel like just another day — but it is still a milestone that you have achieved! I just couldn’t figure out what to say. It was “Oh wow, look at that,” but that was kind of it. I worked something out, but I’ve been watching the numbers for a long time, so I’ve knew this was coming. It just arrived a couple of months earlier than i expected. I don’t really like to puff myself up. It makes me mentally itchy. I think you’re being modest and ‘umble. As I’ve said many times times, you’ve touched myriad lives (who knows how many?) around the world. You’ve opened windows on our world for folks who feel ignored. You’ve encouraged those who feel they have no voice. The content is always varied, interesting and WELL written. Bi-partisan views are encouraged but without venom. You preach civility in a world sorely lacking that virtue. “Small potatoes”? I think not. Congrats and if it wasn’t for the blogging no way would we have ever found each other. It is a strange phenomenon how a blog grows and I will never really understand if there is a secret formula or not. At the beginning perhaps 8-10 people realized I was here and now I average on about 200 views a day and am on the way to 6000 followers, but these are just statistics. I just write fit the fun of it and the rest is an extra. Your comments were very interesting. It is so strange. How can someone sitting in an unknown valley (at least to me) meet someone sitting in the middle of Switzerland in a one cow village, meet, realise we share so much together and become such good friends. We would have never met were it not for our love of writing and photography. I see more of you than my normal real flesh and blood colleagues where I live, even if it is only online. We will probably never meet personally, the distance is too large, but the computer distance is just a desk away. Given how hard it is for me to get around, I in fact spend much more time with you than any of my “real” friends. It makes a gigantic difference. Otherwise, we would be shut in, with little chance to get out. Who imagined this is the way life would go? I wish I could see your mountains! Mrs. Swiss, sometimes it feels like we’re next door neighbors.That’s the magic of blogging and sharing thoughts about our lives. Hard to do that in real time with OUR neighbors. Haha obviously it was meant to be. I enjoy your immensely. My husband is deaf, so I’m used to being misunderstood. We have arguments about things he thinks I’ve said. But that’s okay. I don’t see OR hear as well as I did … and it isn’t going to get better. As long as you enjoy it 🙂 I’m very glad to know you. You seem to be doing pretty well, considering what you are dealing with. Thanks, Marilyn. It’s been um “interesting” not! but it’s the hand I’ve been dealt, so no use grousing about it. I’m thoroughly immeasurably happy I found WP as it’s open a window to the world I never knew about and one I’m thrilled to be part of. I’ve met so many interesting and unique and hilarious types here, that my day is filled with immeasurable joy. For that I thank you as you and your hubby are part of it. The same for me. As my body has failed, this is the window into the rest of life. In another life, we’d have been shut ins. This internet is more than shopping. It’s a whole world. Couldn’t have said it better, Marilyn, it’s how I see it and why it’s become a lifeline for me. Quality will out. And generosity of spirt. And honest writing. The half million views just show what a good place it is to hang out in. It’s like the best community hall where we can always drop in. All topics covered. So very well done, the Serendipity gang. I know you don’t blog for the plaudits, but CONGRATULATIONS! anyway and that goes for all Serendipity co-authors who have given me loads of interesting, entertaining and just downright good posts to read (and comment on of course!) in the past couple of months since i found you all. Here’s to the next 500,000. Little known fact. The dogs actually write all the posts. We just take the credit. Ours too. Ask Garry. As soon as we are out, they take over the computers. I actually did LOL at that one! Thanks Gibbs, Bonnie (and any i missed). Congratulations on such a big milestone Marilyn. I think your blog was one of the first ones I started following when I first found WordPress four years ago. Now I also enjoy reading Garry’s, Ellin’s and Tom’s pieces. Well done Serendipity Team. No one is more surprised than I am that I’m still writing it. Most bloggers give up in less than a year, most before six months. It’s why I wonder why WordPress never creates any software to help those of us who hang around for a while. And … the rain IS gone. About time!!! 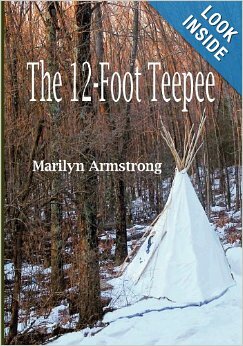 Congratulations, Marilyn! Always interesting posts…..and the dogs, of course, are the icing on the cake! Dogs. They are the OTHER half of the team! On Thursday morning our back yard was our pond due to all the rain this week. I see we sent it on to you when we were done. I am honored to have the chance to contribute to SERENDIPITY for the past several years. It is hard to believe it has been over three years. If I had to stick with a theme, I would be in trouble. I know I am all over the place from serious to silly. As you mentioned, any idea could be a blog topic. Thanks for posting all my various articles. I’m really happy to have you. I wish you lived nearby! Your rain obviously came out this way, too. All our rivers are in flood, but fortunately, we don’t live right next to a river, unlike most of the people in the valley. We have so MANY rivers! Please keep writing! You still have the top scoring, highest score for any given day — actually week — for all five years! I think the story of Angel struck a chord with some and got shared around quite a bit. I have been able to keep up with him since I found him, as we are now facebook friends. I think it hit a nerve. We all seem to be hitting a few nerves these days. Our worst days are as good as our best days were a year ago. it’s not unexpected, but I was left a little … I don’t know … speechless. What can you say after you finish with “wow, that’s a BIG number.” I don’t know HOW you do as much as you do. I can barely keep up and you do a lot more than me! I think if I had to answer that many comments, I’d probably give up. I’m actually trying to cut back. I’m tired and my brain is getting fuzzy. I don’t know how you manage to keep up blogging and actually WORK. I don’t have time to work! WOW! That is really something. Congratulations ! I think of us as friends too. In our normal daily routine, what are the chances we would have met any other way? It has made it possible to interact with people all over the world and that is a good thing. Of course you are a friend. And we might actually meet someday. You don’t live on the other side of an ocean, so anything is possible. But without this, we would never have met. To meet you in person would be a real delight, Marilyn. You never know, we just got our passports renewed. So many visitors Marilyn! It is wonderful to be able to write a few times a day- more followers, more comments, those are some big numbers there! Thanks. I am actually aiming at writing a little less. I need a bit of a break, I think. Awesome post! Congratulations on a successful blog! I have been blogging for about 4 months and my blog is gaining momentum every month. That makes me happy! I can not begin to fathom what it must feel like to have the kind of blog traffic that you do. I’ll just keep plugging along. I really enjoy writing about the humorous situations that I face raising three boys a single mom. There is never any lack of material but I have incorporated some inspirational posts. I just got my first guest blogging assignment on a site with 500k followers. I can’t wait to see where all of this takes me. You are truly an inspiration and I love your writing style. I took a quick look at your site and it’s lovely. I’m sure you’ll do very well. Really, all I did was keep at it. if you write well and you don’t quit, after a few more months, it grows. It’s amazing, actually because I certainly never expected it. Thank you, Marilyn. I love to write and it comes easily too me. I have learned so much and met many wonderful people. I appreciate the encouragement and kind words. Just don’t give up. I think most people give up too early, so they never get to see the results. Keep at it!